The Ministry of Communications and Information (MCI) offers scholarships to candidates with a passion for government communications work. Upon graduation, scholars can look forward to a rewarding and challenging career that spans a broad gamut of portfolios and responsibilities, as well as a comprehensive development plan comprising formal professional and leadership training, and secondments and attachments to other ministries and external agencies. For candidates who have already commenced their undergraduate studies. Scholars are studying at our three local universities (NUS, NTU and SMU), or at any top overseas universities taking the courses of study allowed under our scholarship. MCI Information Service Mid-Term Scholarship Scholarship is tenable for most disciplines of studies, except Medicine and Dentistry. The scholarship cycle will usually commence in September and will close 10 days after the A level results in Mar/Apr of the following year. For Mid-Term applications, the scholarship cycle will usually commence in September and will close in May of the following year. All applications are to be submitted via the PSC Gateway (please indicate ‘Information Service’ as your first choice of service). For more information on application deadlines and process, please visit the PSC Gateway website. Please email to [email protected] to indicate your interest in the MCI Information Service (Translation) Scholarship if you are intending to apply for this scholarship in the 2017 Scholarship Cycle. What is the Information Service about? What does an Information Officer do? Develop strategies to communicate government policies effectively to the public and wider global community in an increasingly challenging communications environment. Engage in public consultation to understand ground sentiments, public perceptions and opinions. Cultivate networks and relationships with local and foreign journalists. Channel government information to both the local and foreign media, allowing them to keep abreast of the latest government policies and decisions. Develop and implement nation building strategies and rally Singaporeans together when the country is threatened by a crisis. Enhance foreign perceptions of Singapore as a cultural and business global city through a variety of channels, publications and online platforms. What universities should I apply for to be eligible for the scholarship? 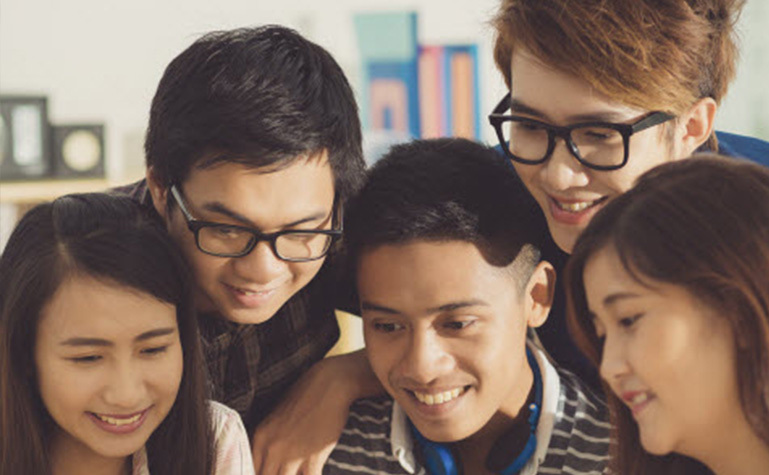 Scholars can choose to study at our three local universities (NUS, NTU and SMU), or at any top overseas universities offering the courses of study allowed under our scholarship. For overseas study, a resource list of where you can find information on the top universities is provided below. Do I apply for universities on my own, or will MCI apply on my behalf? You should apply for universities, both local and overseas, on your own. This should be done concurrently with your application for the MCI Information Service Scholarship. What career development opportunities can I look forward to as a MCI Information Service scholar / Translation scholar? Upon graduation, all scholars will join MCI as an Information Officer. Information Officers will have the opportunity to work in various capacities in MCI, and be seconded to Government Ministries and Statutory Boards to help in communications of policies and programmes. As a young officer, you will generally begin your career in MCI where you will receive formal professional and on-the-job training with rotations to divisions and affiliate attachments; or be seconded to serve in the corporate communications department in government agencies. Experienced officers may be seconded to government agencies to assume directorial positions in the public affairs/ corporate communications departments or serve as Press Secretaries to Ministers. For Translation scholars, you will generally begin your career in the MCI Translation Department and subsequently be posted to other divisions or public agencies where your language capabilities could be tapped on or for exposure to other areas of information work. Experienced Translation scholars could also be further groomed to assume the role of government translators / interpreters. Find out more about the job of a translator here.